To be honest, in the summertime, making soup never crosses my mind. Give me a burger and a caprese salad and I’m set. But then the snow comes, and all of a sudden the idea of curling up by the fire with a hot bowl of soup sounds about near perfect. Which leads me to today’s soup, but before we get started can I just say that the KEY to great tasting soups is homemade broth. I can’t stress that enough, because it drastically improves the taste and the health benefits! So I could (and usually do) eat this soup with no rice, but my hubby likes the heartiness of the rice so we always make some on the side. 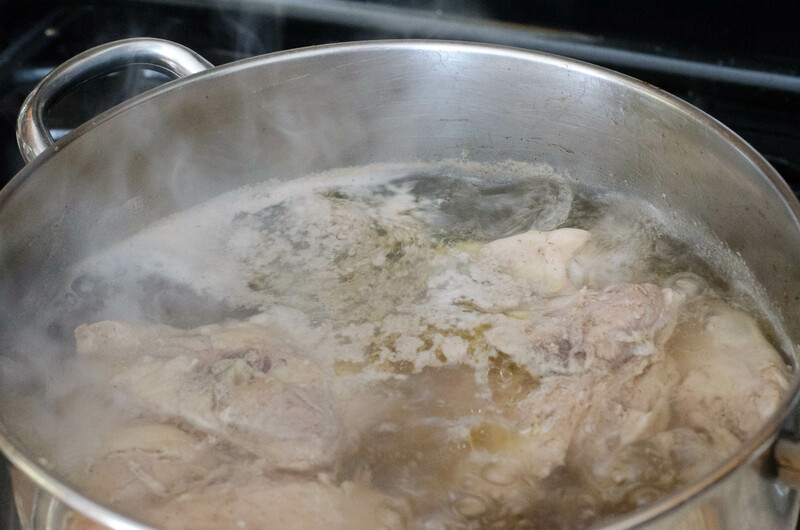 First, place uncooked chicken in pot and cover with water. I added about a teaspoon of salt and pepper. Bring this to a boil and then simmer uncovered until chicken is cooked. For me, this was about an hour. While the chicken is cooking, spoon out and white foam that has floated to the top. 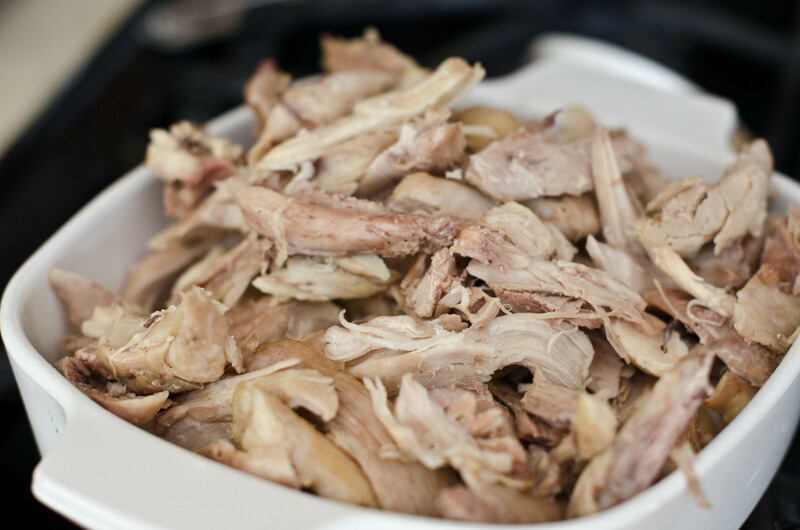 Once chicken is cooked through, remove from water and take all the meat off the bones. I set the fat and bones aside for my next batch of bone broth. Do not dump the water, because it is full of flavor and will be used in our soup! Take the chicken and add it back into the soup pot. Also add in roughly chopped celery and carrots. Personally, I don’t think you can add too many and I used about 3 cups of each. Add 2 quarts homemade chicken broth and 1 quart purified water. 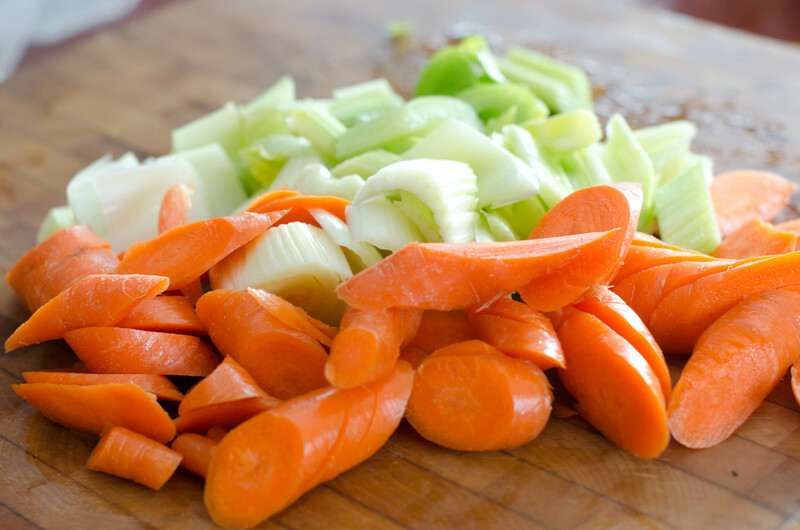 Bring to a boil and them simmer with a partial lid cover for about an hour or until carrots are tender. While the soup is simmering, don’t forget to make your rice! Once everything is done, place a scoop of rice in a bowl and then ladle in the soup. Top with LOTS of parsley and LOTS of lemon!! Please, please, please don’t skip this step! 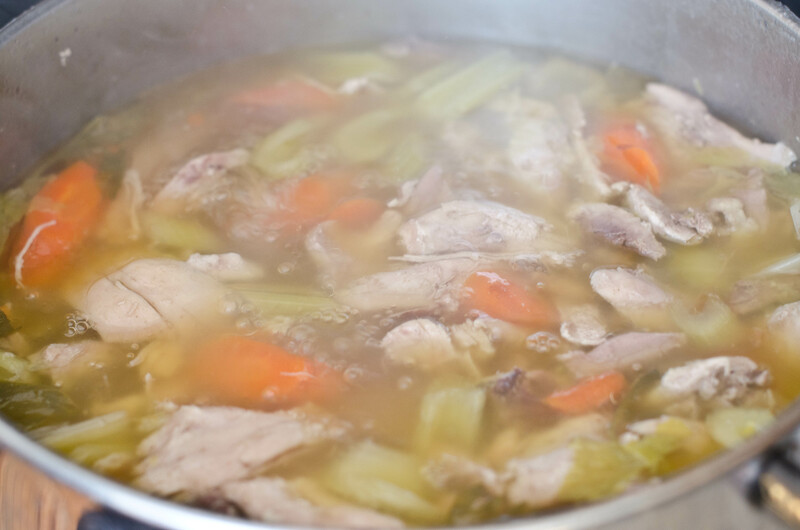 It is of utmost importance to give you the ultimate chicken soup experience!! Thank you! We’ve had it 2 nights this week, and I honestly believe its helped my family overcome a nagging cold we have all had! 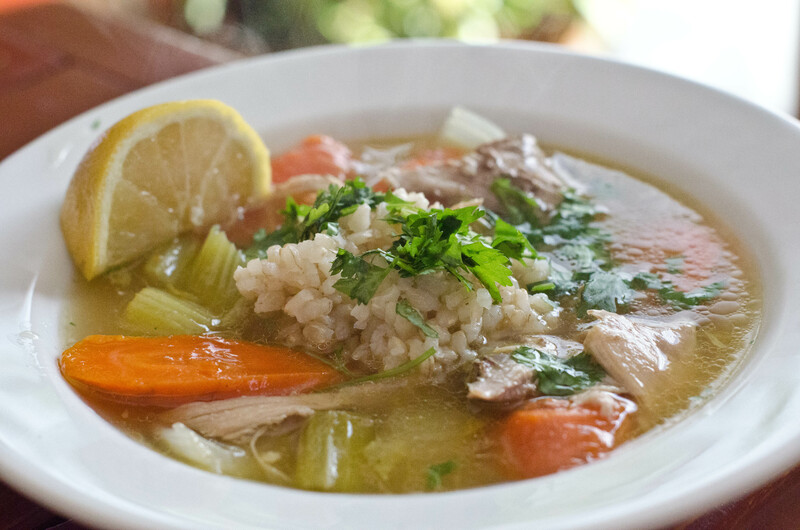 Just in time for cold and flu season…doesn’t this recipe look yummy? !